There is more to Ubud than it’s world-class yoga studios. 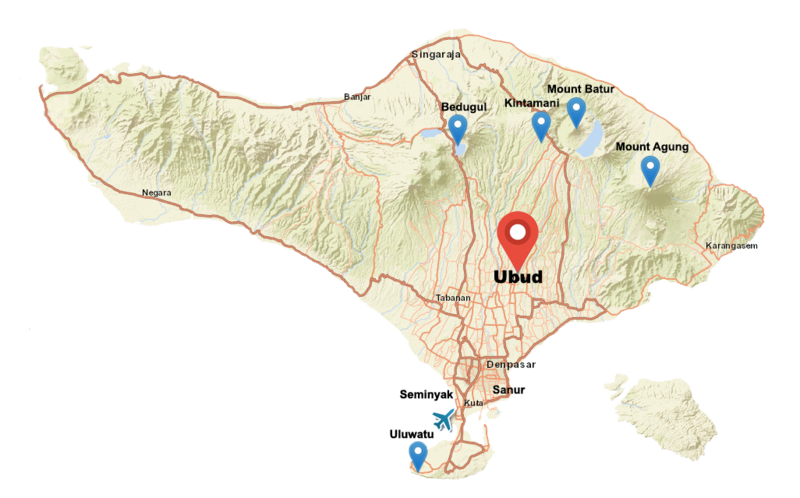 Ubud is the cultural center of Bali with some of the finest cuisine, temples, healers and artisans in all of Indonesia. 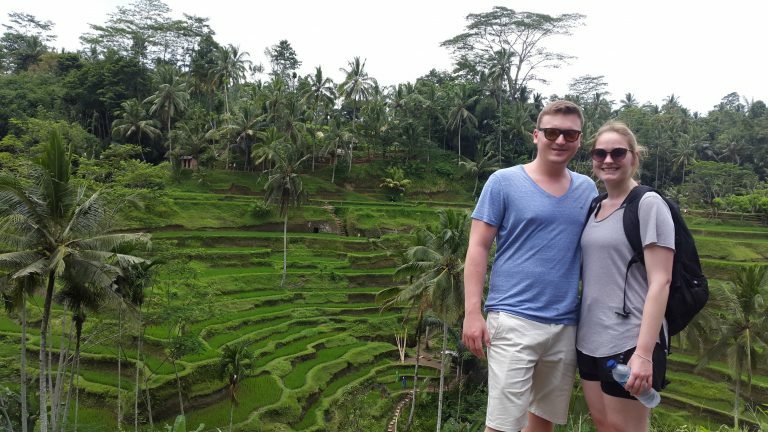 If you only had one village to explore, Ubud would be high on the list. On your tour, you’ll see how batik is made, the traditional fabric of Bali and Java. 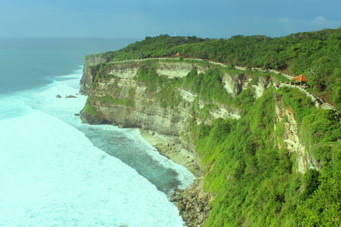 Enjoy a visit to the Tegenungan Waterfall and Sacred Monkey Forest. Wood carvers, silversmiths and coffee makers abound in Ubud. Witness their crafts first hand. Then pray with the locals at Batuan Temple and experience a traditional Barong dance and other sacred customs. The village has evolved into a fascinating city over the last decade and there is more to see than ever, but for those with limited time, finding everything can be quite challenging without a guide. Bali Trekking Exploration guides and drivers know Ubud—not the tourist traps, but the unique history and deep traditions of its people so you get an authentic experience. We’ll try to cover as much of Ubud that you’re comfortable with so the earlier we begin the more we can do, but who’s rushing. You’re on vacation so we’ll go as fast or as slow as you want us to. Therefore, we’ll pick you up at your hotel at a time that is convenient for you. Your driver will contact you before your tour and together you’ll plan your day visiting the places that interest you the most. There is a lot of flexibility in this tour so if you wish to stop for a massage or delicious lunch, your guide will help you choose places that are within your budget and appropriate for your needs. If you choose to take along one of our guides, you’ll tour the area and your guide will give background information and tips when entering holy places and temples. He’ll provide you with the history and culture of the locals and answer all your questions. You’ll be dropped off back at your hotel at the end of the day. This package does not include entrance fees to temples and parks. Please bring small change to enter these places. Our vehicles safely hold 1-5 guests and the charge is the same regardless of the number of guests who book with us. If you have a larger group, it may require the use of another car and therefore, another charge. We will work with you as best we can to keep your charges as low as possible. Thank you for your understanding. A towel and clean clothes if you think you may want to change after the hot springs. Yes. Ubud is an excellent place for shopping. Yes, but this needs to be pre-arranged with us prior to the day of your tour. We must check availability. If there are no available Mangkus during the day of your tour, this may not be an option. No. This tour is for people who want in depth knowledge of the area and local people. 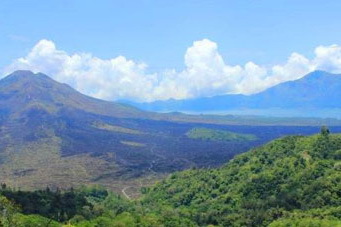 It is also for those who do not want to spend time navigating the busy streets of Ubud. Our guide will also recommend places that are suitable to your desires. Yes. It may be a long day so you may want to think about bringing items to occupy your child. Additionally, baby strollers and carriages are not recommended on this tour. Yes. 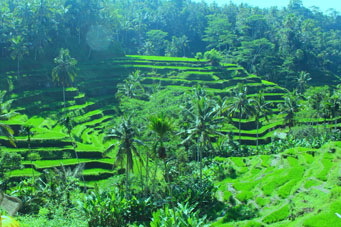 Ubud is a popular destination and it has gotten very crowded in recent years. This is precisely why it is advantageous to use a guide who knows the area and can get you through the crowds.